A pair of large Victorian style door knobs with a solid brass "Beehive" design. This is a large version of our ever popular brass beehive door knob and is now a very popular stock item. Very high quality, hand turned, solid brass door knobs/handles made to an original Victorian beehive design. These large Victorian beehive door knobs/handles have been faithfully reproduced from an original door knob we were fortunate to salvage and are therefore a design exclusive to us, despite there being many copies on the market. 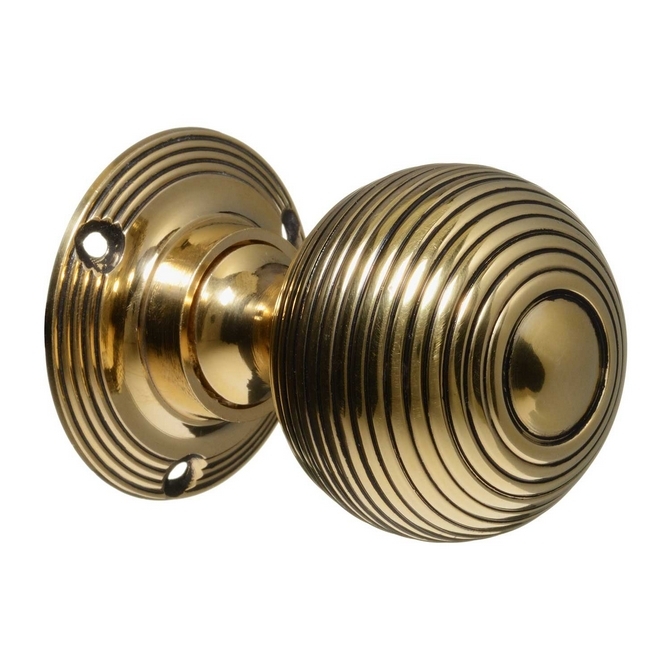 These door knobs have that genuine period look and would really enhance and make a feature of any door. Large solid brass handles hand turned and aged.